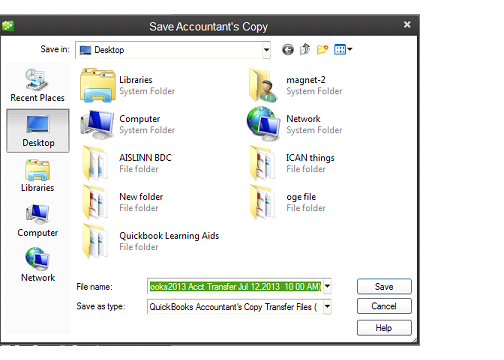 Accountant’s Copy: How to send your financial account to your auditor or accountant using QuickBooks Accounting Software. 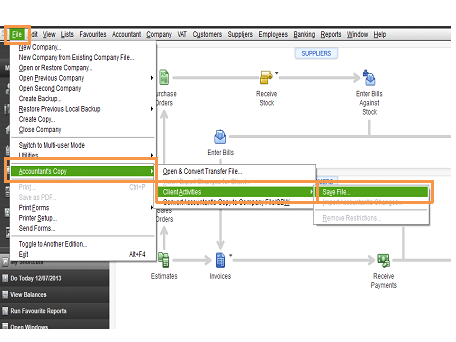 QuickBooks makes it easier for accountants/auditors to work with their clients’ accounting records saved as data files. You have a client operating in financial service sector who needs help finishing the year’s accounting period. You have two choices. First, you can drive over to his office, probably getting stuck in traffic along the busy way, and find yourself wondering if you can bill the client N150, 000 for your travel time. Second, you can have the client use the Accountant’s Copy feature in QuickBooks Accounting Software to send you a copy of their financial report data file. You can then review this accountant’s copy of the data file, make whatever fixes or changes are appropriate, and then send the changes to be made back to the client. The client can easily import these changes into his existing accounting records and go off on his merry way. Pretty neat, right? This is one of the reasons External Auditors should recommend QuickBooks Accounting Software to their clients. It saves time and makes review of accounting records easier and stress free. Here is how QuickBooks can help save your business accounting records in a data file and send it to your Accountant or Auditor for further review and independent analysis. This window demands that you choose a Dividing Date-your accountant or auditor can only work on transactions recorded on or before this date but cannot edit transactions after this date. QuickBooks will close all your windows to create an Accountant Copy which you can save on your preferred device location. 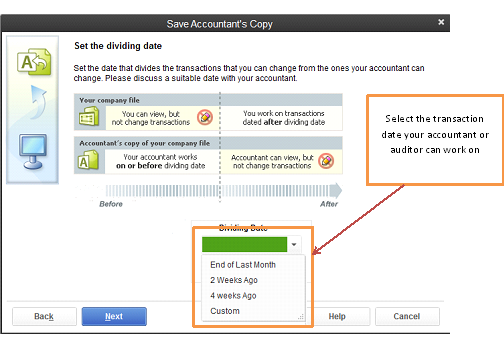 Select where you want to save the Accountant’s copy and click save. Tip: You can save on an external storage device or desktop. Tip: Auditors seeking alliance with an Accounting Software expert that will automate their clients’ accounting record should contact Magnet Consulting Associates Limited for further discussions.